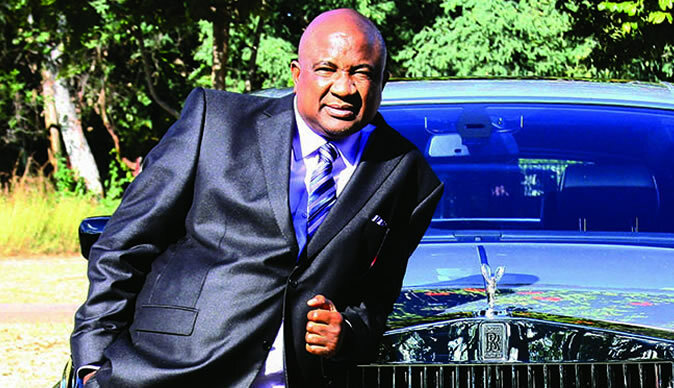 The Zimbabwe Revenue Authority raided maverick businessman Philip Chiyangwa over the crackdown on unexplained wealth and lifestyle audit operation, it has been reported. Sources close to the investigation confirmed that ZIMRA pounced on Chiyangwa on Friday evening. “Yes it is true that mkoma Chiyangwa has been raided by ZIMRA. They said they are doing a lifestyle audit on rich people to force them to disclose their source of wealth and to ascertain whether they conform to the tax laws of the country.” The source said. Chiyangwa is known for bragging about his wealth. Last week ZIMRA raided self-styled Prophet Walter Magaya under the same operation of life audit. Recently President Emmerson Mnangagwa gazetted Statutory Instrument 246 of 2018 which forces wealth people to explain their wealth or risk it being converted for public use. “People should be able to explain their wealth. Failure should be assumed to mean it’s ill-gotten and is seized and converted to public use. This will enhance public confidence and kill apathy creeping in and dampening public morale due to lack of convictions,” Mnangagwa said. The move has been welcomed by Zimbabweans who are itching for the wealthy ZANU PF Bosses to be brought to book for alleged using corrupt tendencies to enrich themselves at the expense of the populace.